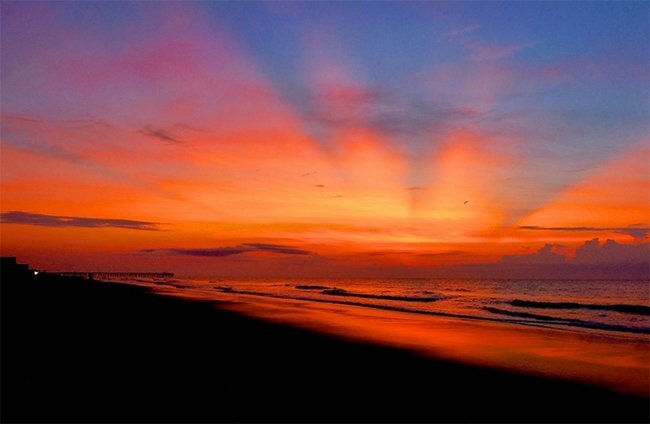 Nestled along the Grand Strand, just a few miles south of the late nights and bright lights of Myrtle Beach, sits quiet Surfside Beach. 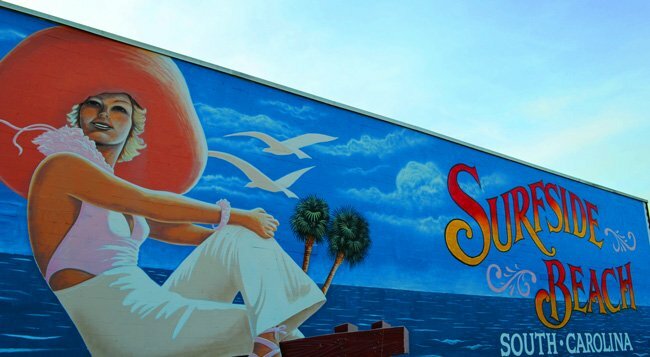 The town’s landmark mural depicting a relaxed beachgoer was painted by local artist Tommy Simpson and graces the corner of Surfside and Poplar Drives. 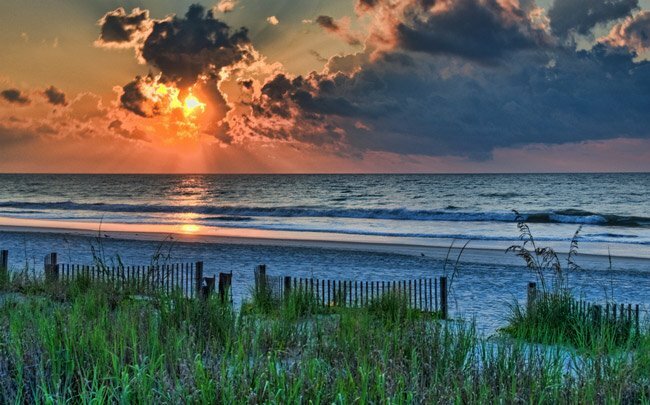 The community originally was known as Roach’s Beach, and it barely survived the hurricane of 1893. 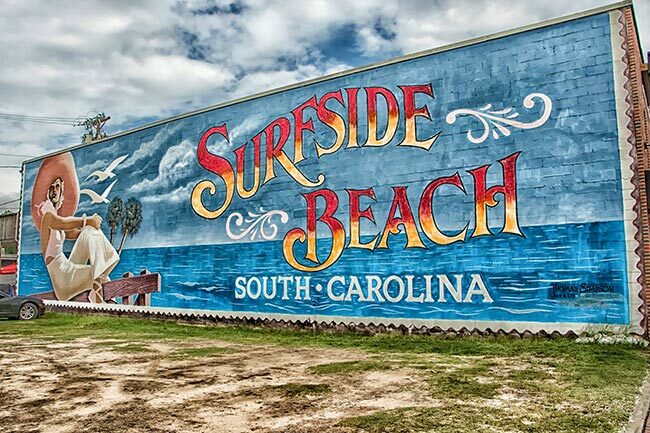 The land changed hands over the decades following the storm until it finally became Surfside Beach in 1952. Two years later the area was again decimated, this time by Hurricane Hazel. Rather than seeing razed houses, developers saw opportunity. 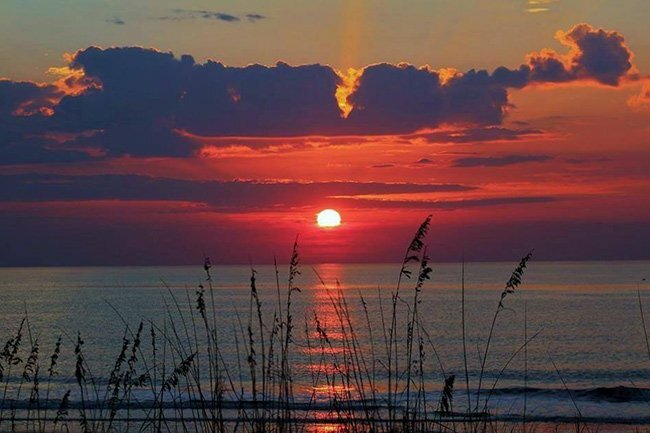 They rebuilt the area and marketed it as the “Family Beach.” Incorporated in 1964, Surfside Beach remains a popular vacation spot for families. 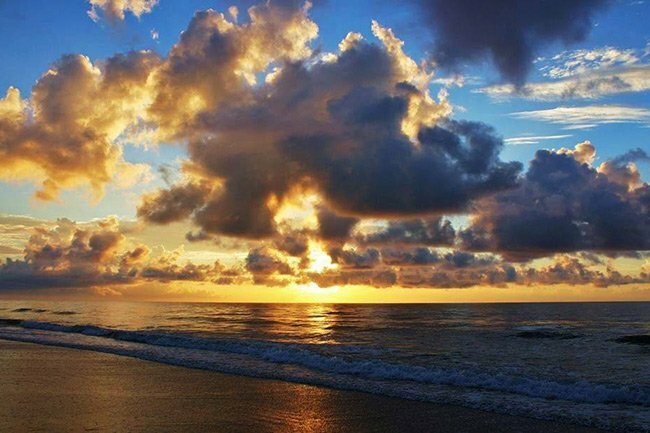 In January of 2016 Surfside Beach Town Council designated the seaside town as the nation’s first autism-friendly travel destination. The designation means that the town will host events designed for people with autism as well as provide support and resources to visiting families affected by autism. Absolutely, we have it added, thank you! My family used to vacation every year in Surfside back in the mid 1970’s to 1980’s. There used to be an amusement park there with rides and games but I cant find any old pictures of info about it. Does anyone have any pics or info?